Developing a website is much more complex task than we think it is. Its complexity depends on what typed of features you’d like to implement on the site, there’s a lot of coding that goes into it. Many times designers uses a WYSIWYG tool, however tools of that kind are more limited to advanced coding for web development projects. 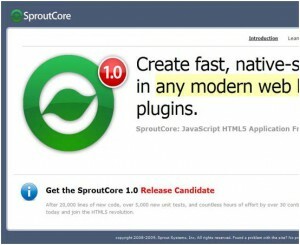 Being able to code a site using a selection of tools lets you simplify the coding process while you take a big bite out of saving your time. Below we’ve compiled 20+ Tools for Quick & Clean Code Development that will help you code much faster and in a well-organized way. 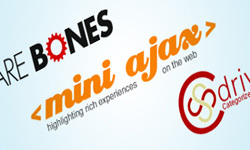 MiniAjax is a large set of downloadable AJAX scripts, for customization on your website. Most of these scripts can be reconfigure, and guide you through the execution. 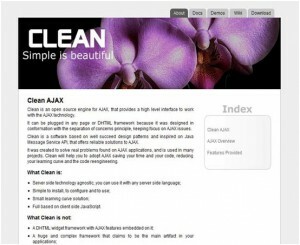 Clean AJAX provides a high level interface to work with the Ajax technology. This tool will saves a lot of time and help you fix and neat up your code. 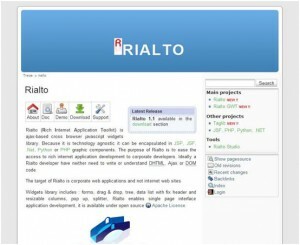 The Rich Internet Application Toolkit (Rialto) is an Ajax-based cross browser library with lots of widgets. It gives you quick and easy access to rich internet application development. 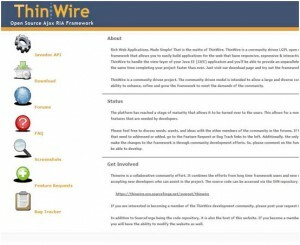 ThinWire is an open source development framework that allows you to build applications for the web that have usable and interactive user interfaces. This tool is really helpful while handling view-layer of your Java EE (J2EE) applications. 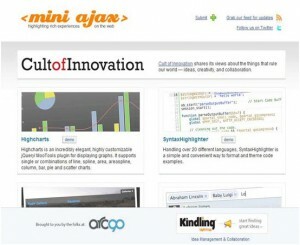 AjaxDaddy is a resource site that offers useful and time-saving AJAX scripts for your website. 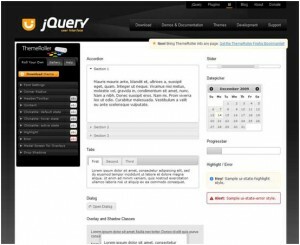 With jQuery UI you will be able to design custom user interfaces for a number of web applications utilizing the jQuery library. 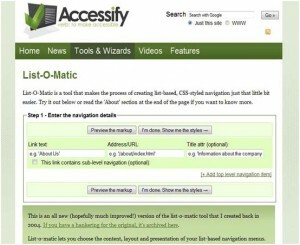 If you want to build CSS styled navigation menus, then List-O-Matic is a right tool for you. 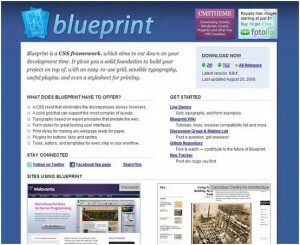 Blueprint CSS, a framework that saves your CSS development time. 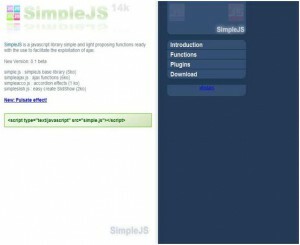 It provides a solid CSS foundation letting you create your project, organized grid, and many more. 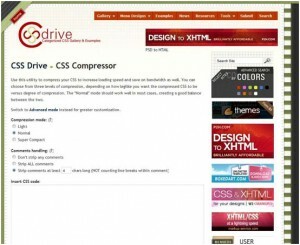 CSS Compressor lets you to easily compress your CSS code to increase loading speed and save on bandwidth. It provides various levels of compression to choose, that depends on the size of your code, and your desired load time. 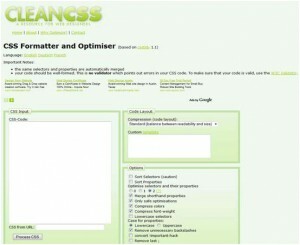 Clean CSS optimizes and formats code and makes it much cleaner and more structured. 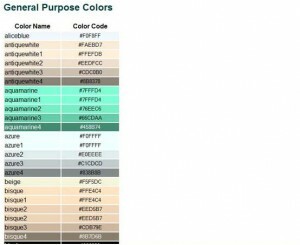 The CSS Color Chart page contains a neutral colors chart and a general-purpose color chart. These are compatible with CSS and HTML. This is a best tool for converting color codes from Hex to RGB and vice-versa. 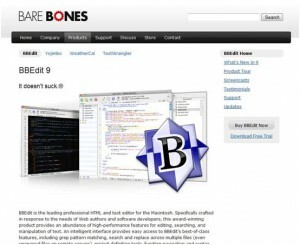 BBEdit is an HTML and text editor for the Mac OS X that helps web designers and coders for efficient editing and manipulating text. 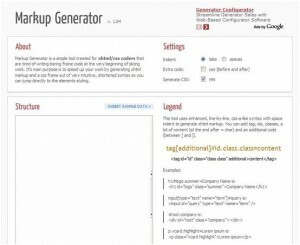 Markup Generator is a simple and effective tool that takes the slicing out of having to slice your web project at starting. 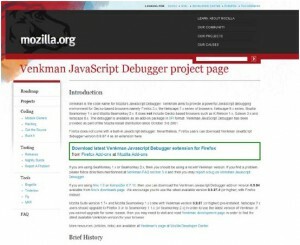 Using this tool you can also produce standard XHTML markup along with a CSS frame that’ll let you style your elements. 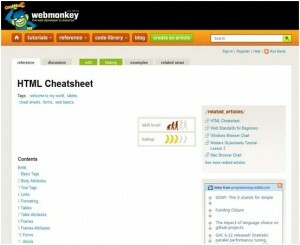 This is a helpful extensive and easy to read cheat sheet for HTML code. 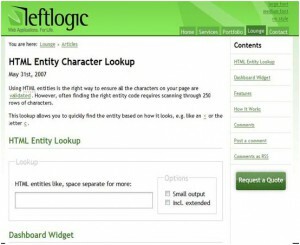 This app is useful to quickly find an entity or tag based on how it seem. 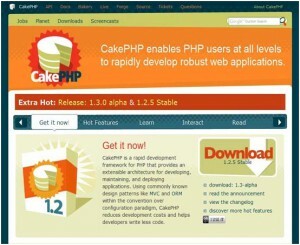 CakePHP is a development framework for PHP that allows you with a useful architecture for developing, and maintaining your apps. 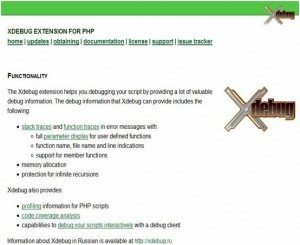 Xdebug is an extension for PHP that debug scripts. It also has various useful features like warnings, errors messages etc. 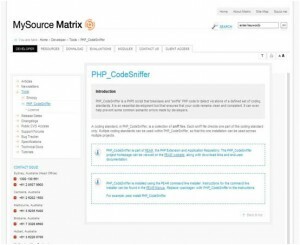 PHP_CodeSniffer is a PHP 5 script that strongly detects conformance to a predefined PHP coding standard. 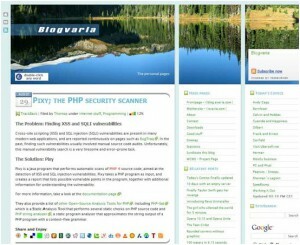 Pixy is a Java program that performs automatic scans of PHP 4 source code, meant to detect XSS and SQL injection weakness. Pixy takes a PHP program as input and creates a report that lists possible susceptible points in the program, along with additional information for understanding it.